We’re back home at last from our 5-weeks child-ending adventure. We have rested a few days, done the household chores that needed to be done after a long absence, paid bills, and caught up on 700+ e-mails. I have to admit that another reason for my absence from posting lately is a certain loss of enthusiasm. I have 300 posts over four and a half years, and some readers may think that I have run out of things to say along with needing some new recipes. But the main reason I have been a little quiet is receiving a couple of snarky comments that made me wonder, at my age, if I really need that. The way I look at it, if you don’t like my blog, just don’t read it. After some soul-searching, I have decided to write at least a few more posts. To do otherwise would let the boo-birds win, and I have never been inclined to do that. This post is to thank all of our children for their gracious ways of thanking my wife and me for our efforts. The Los Angeles family made a point to go to a nice restaurant. Unfortunately, I missed the event so there are no images of food, but they took my wife to Bashi, the Asian-inspired restaurant at Terranea Resort. It has a wonderful ocean view, great service, a lovely dining space and delicious food. The only thing I can report is that they had a great time. Sarah’s popular fennel pollen levain served with house-cultured butter. 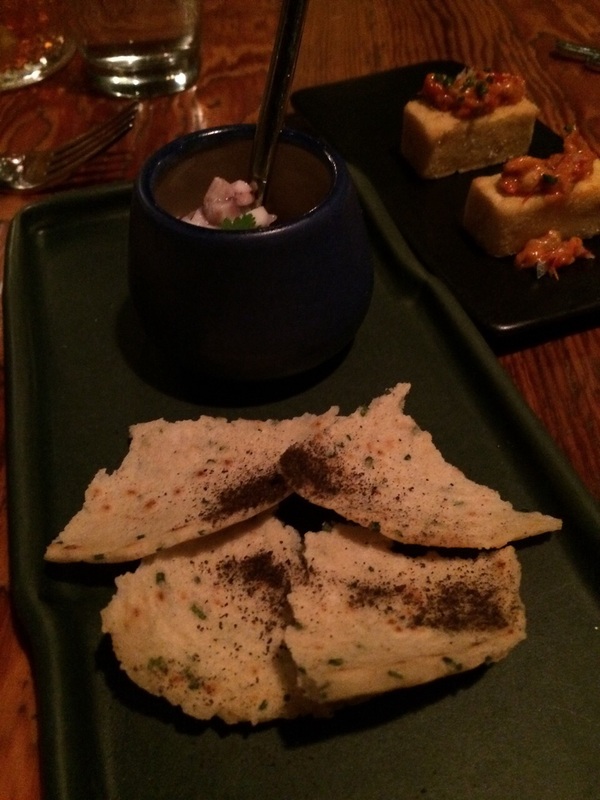 The warm slabs of bread smeared with a delicious butter could be a meal by themselves. 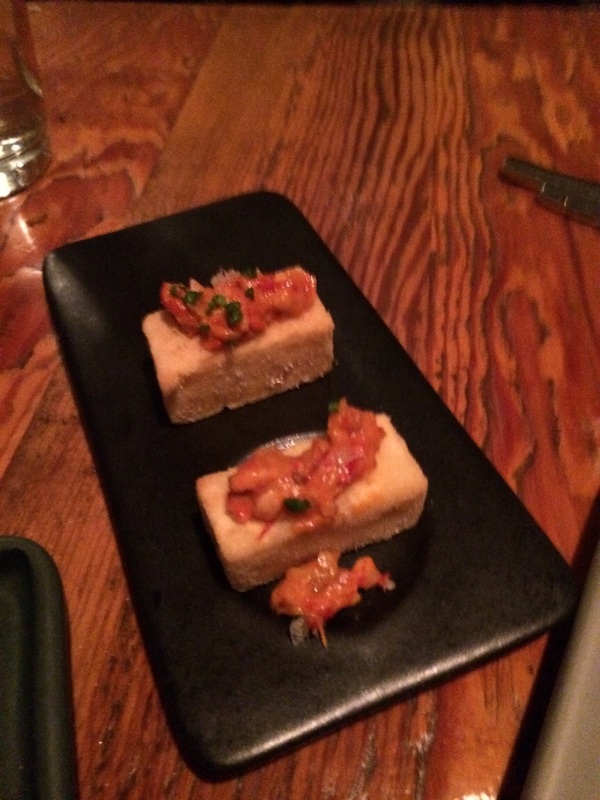 An amuse that was just a bite, but a delicious bite. Octopus with grapefruit, hearts of palm, and sansho pepper. 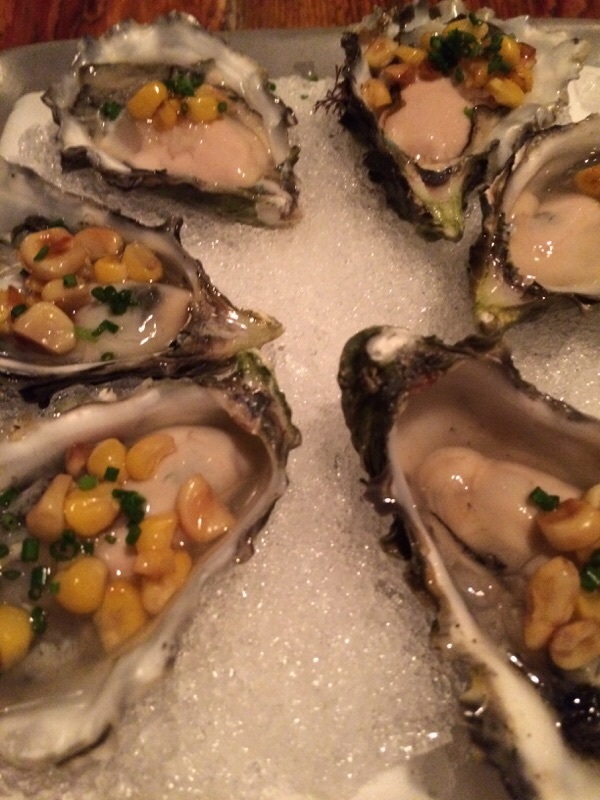 Oysters on the half shell with charred corn mignonette. Rich Table oysters always come well-scrubbed so there are no fragments of shells that you often encounter at some of the best seafood restaurants. 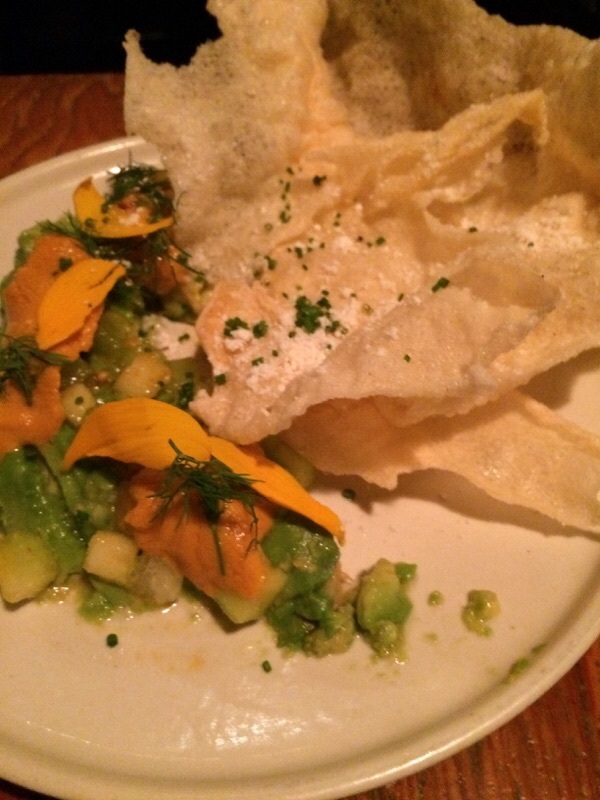 Avocado, sea urchin, fermented jalapeño, prawn crackers. I couldn’t even think of such a combination of flavors, but it definitely worked. 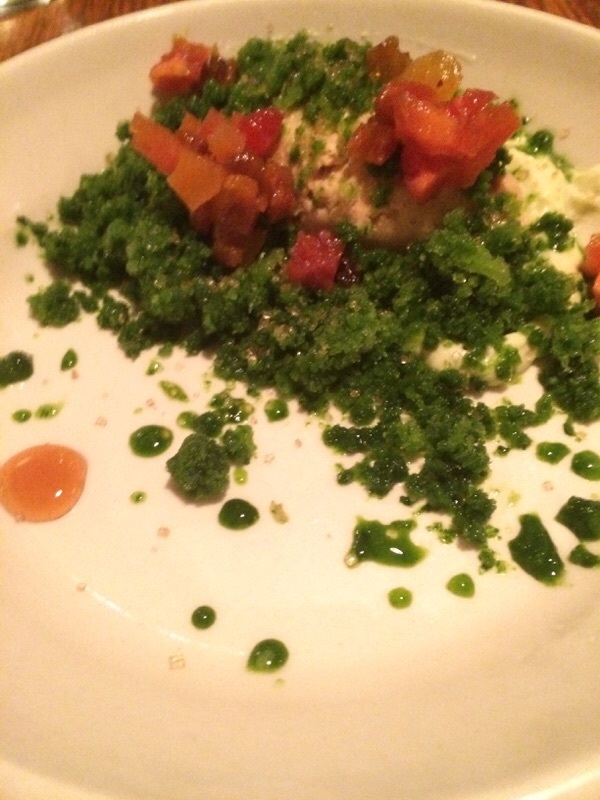 “Green juice” granite, avocado mousse, Stobe fruit, and brown butter ice cream. Scallops, sweet potato, red curry, macadamia nut, brown rice. Again, a combination that defied our imagination. 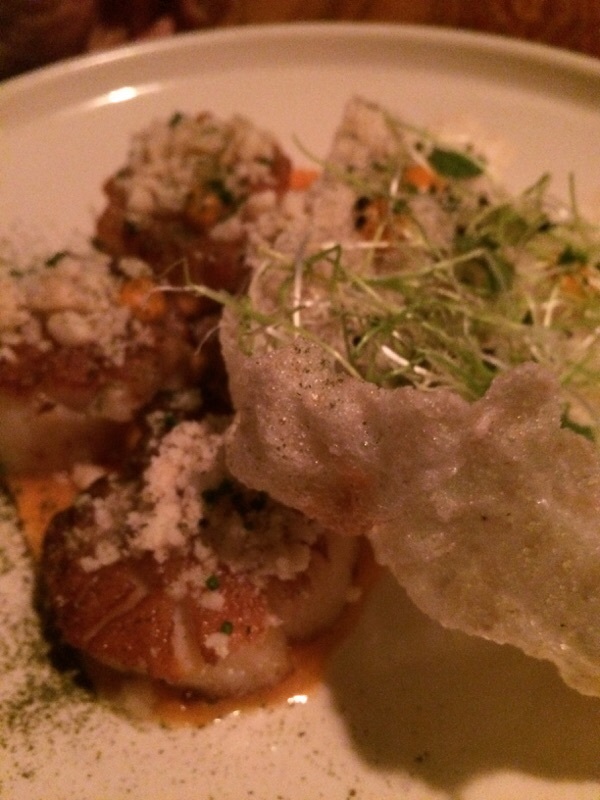 The predominant flavor, of course, was the sweet scallops. 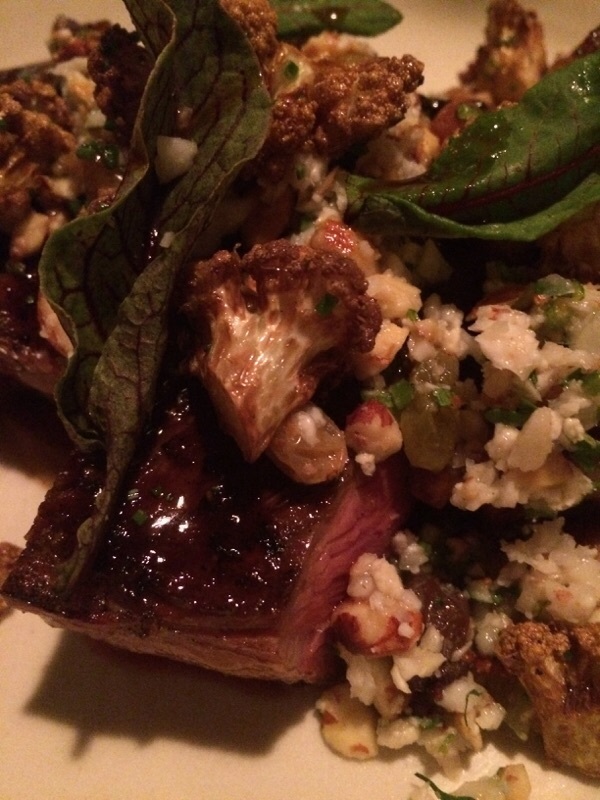 Grilled rib-eye with roasted cauliflower, almond, and sake lees. The steak is heavily marbled with a lot of fat. Whatever you do, don’t cut off the fat, but pop it in your mouth. The fat has absorbed all of the other flavors and just melts away as a delicious extra treat. 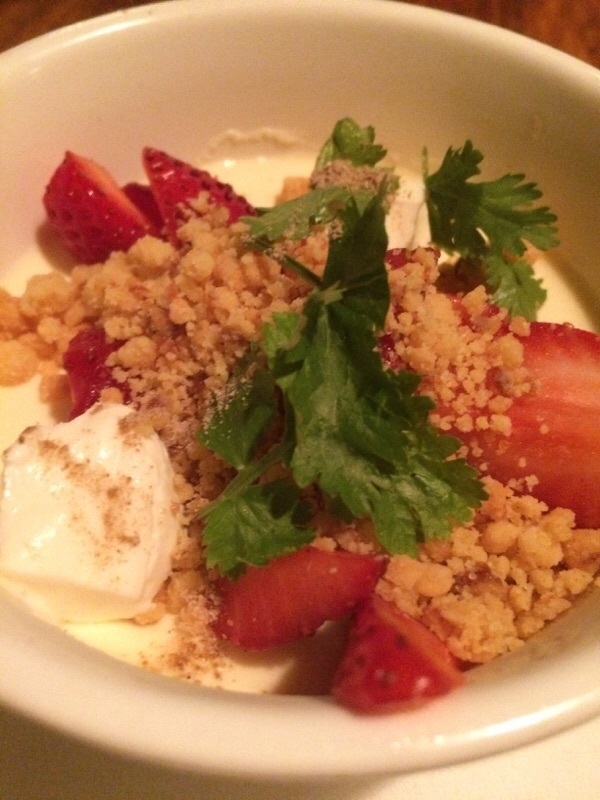 A dessert of sweet corn pot de creme with creme fraiche, strawberries, and lemon crumble. A little vegetal, but surprisingly sweet and refreshing. 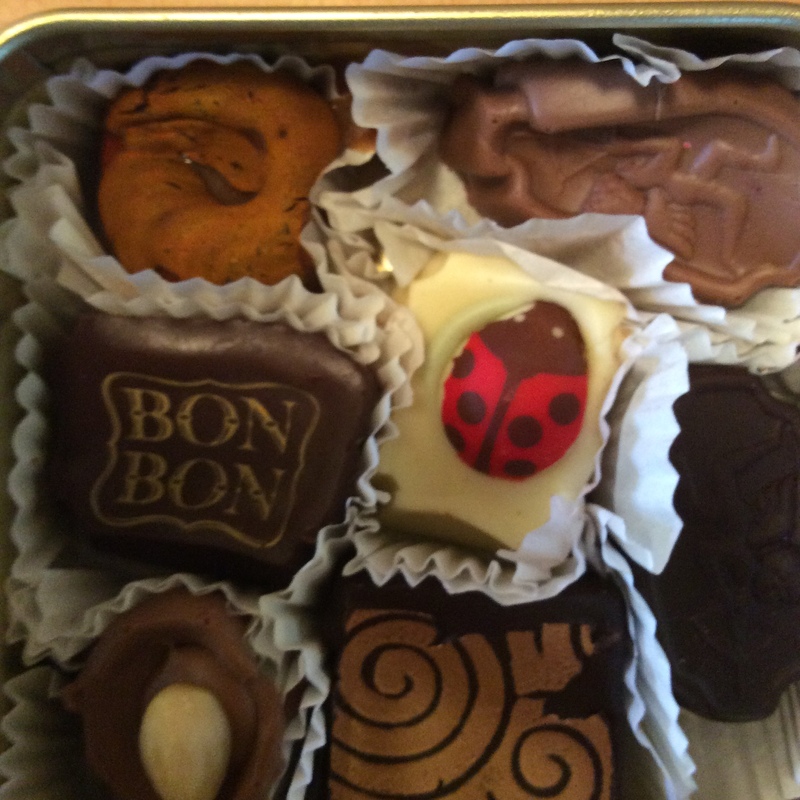 The Silicon Valley family sent us some beautiful artisanal chocolates and a beer mug from Prague where our daughter-in-law had gone to a business meeting. All of that was so unnecessary because taking care of the kids was gift enough, but it made us feel truly thanked and truly blessed.